Happy New Year Friends! 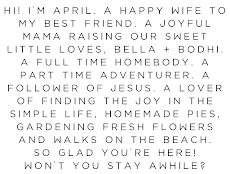 I'm so excited looking ahead at all this new might bring for our family. 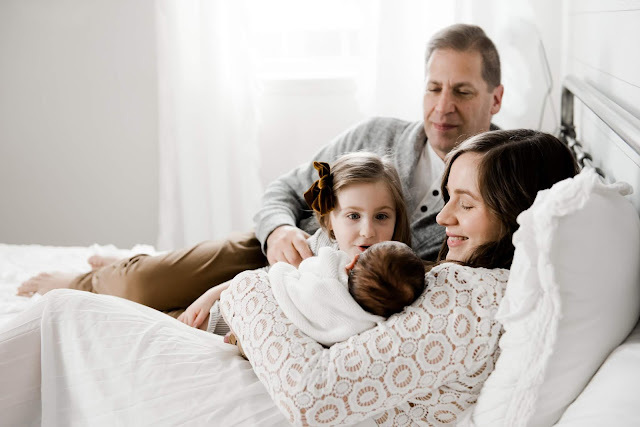 This past year brought us such happiness, with the arrival of our brand new baby boy Bodhi, and our sweetest Bella girl turning FIVE! 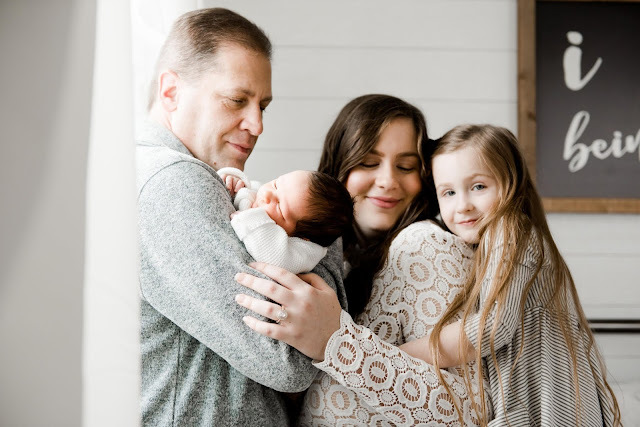 Looking back at last year's new year post, I mentioned how we hoped to add a new little one to our family, and I am so thankful that God brought us our heart's desire! 2018 was not without it's hardships of course, months of morning sickness, to be followed by gestational diabetes, our car getting hit in a wreck at the end of October, and more, but God worked it all out for the best, and I wouldn't change a thing. Morning sickness typically means the baby is strong and growing healthy, the diagnosis of gestational diabetes helped me clean up my eating habits (even though now that Bodhi is here, I can enjoy the occasional sweet treat) and become a healthier version of myself, my husband was not injured when our car was in the accident and thankfully Bella and I weren't in the car, not only that but we were able to get Bella a brand new car seat upgrade because of it! God also brought us closer to him and closer to each other through it all. Hopes and plans for this year include spending more time than ever as a family and just enjoying the simple things in life, simplifying and minimizing our home and possessions even more so we can enjoy life without the stress of mess, hopefully finding and buying a house that we love and can call our forever home to raise our babies in (wherever that may be, here in Pennsylvania or some other state), watching this little baby grow and explore the world around him, Bella too (never lose your sense of wonder and your joy for life my sweet girl), getting Bodhi dedicated at our church, a trip to visit my family in Missouri, a South Carolina beach vacation, and more date nights with my hubby (even if they're just simple staying in date nights after we put the kids to bed), and keeping our hearts lifted in worship to the one who created us all. In the spirit of making life less stressful and minimizing our life as I mentioned above, I'm also planning on taking a little bit of a step back from the blogging world, though I'll still be blogging, posting life updates, finishing up the posts I already have in the works and of course sharing our favorites here and there, I just want to take every moment in, soak in every single second of every single day. These little ones of ours are only little for such a small amount of time and it would break my heart to miss even a single second because of something that doesn't truly matter in the long run. 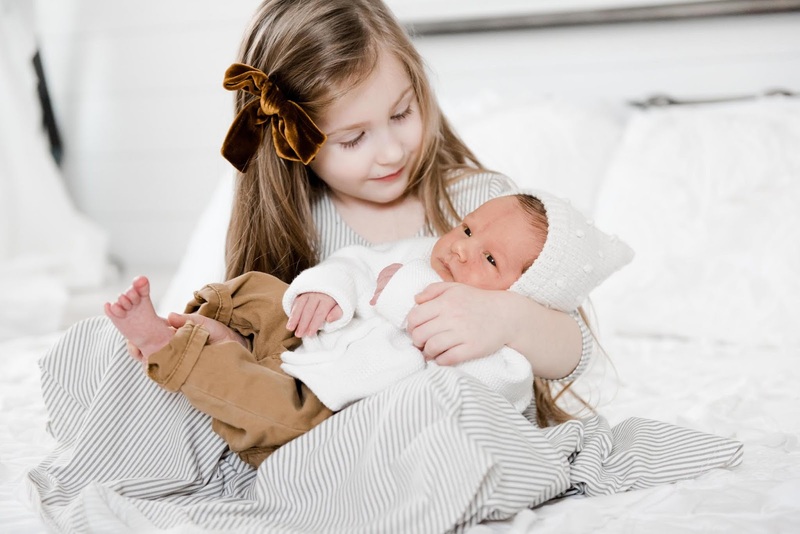 These two babies of mine, and my husband, all mean the most and come first and foremost. What are your hopes and plans and dreams for the new year? I've always been a holiday traditionalist in the fact that I always do Christmas cards, I also usually have them done early enough that I can send them out a day or two after Thanksgiving. 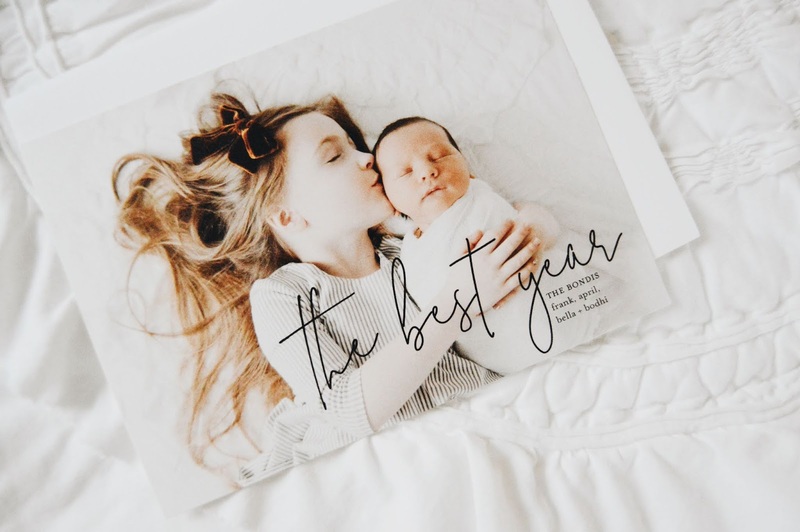 But this year, life was just a little too hectic for that, plus with our baby being born on December 1st, it didn't make sense to send cards out and have them be already outdated by the time they arrived at their destination. So this year I went with a modern approach to our holiday cards and chose to do New Year cards instead of Christmas cards, and I truly love how they turned out. So much in fact tat I may just keep on doing New Year's cards from here on out! We chose Shutterfly and Tiny Prints again this year like we usually do for our cards and I chose this simple minimalist design for our cards. 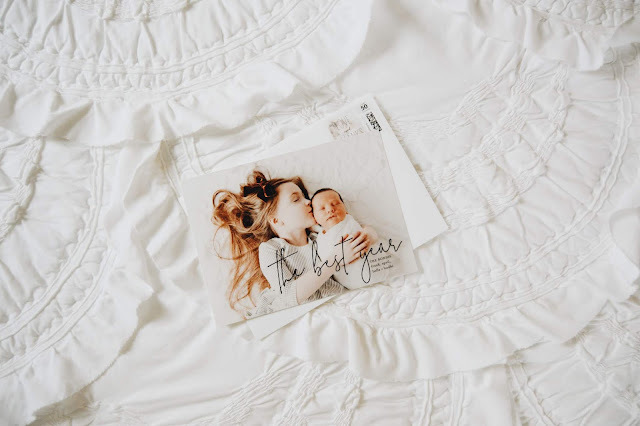 I just love the simple design and fresh feel to it, plus I love that I could add an extra photo on back as well as write a little something to make it more personable. I chose two of my favorite photos from our recent family/newborn photo session and them chose the card shape I wanted, the paper I wanted (I love the pearl shimmer paper), chose the font along with sizes and colors and added our names, wrote a little on the back and they were done! 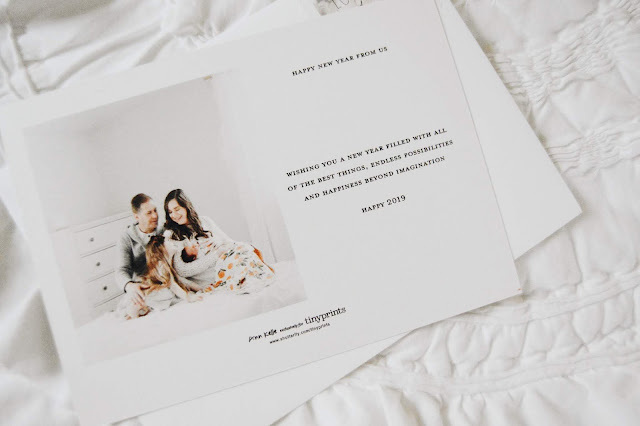 One of the biggest reasons we love Shutterfly and Tiny Prints for all of our cards, is because not only do they have so many hundreds of beautiful card designs to choose from and even more ways to personalize them with fonts, colors, metallic foils and glitters, card shapes and more, but it is SO easy to create your cards! It literally takes only minutes to from start to finish to create your cards! Just upload your photo (or photos) of choice, choose your names and personalize them, review the draft and add to cart. It truly is that easy to create beautiful and unique photo cards with Shutterfly and Tiny Prints. The ease and speed of card creation on their website came in so handy this year since I don't seem to have much time for much but feedings and diaper changes these days as a busy mom of two. 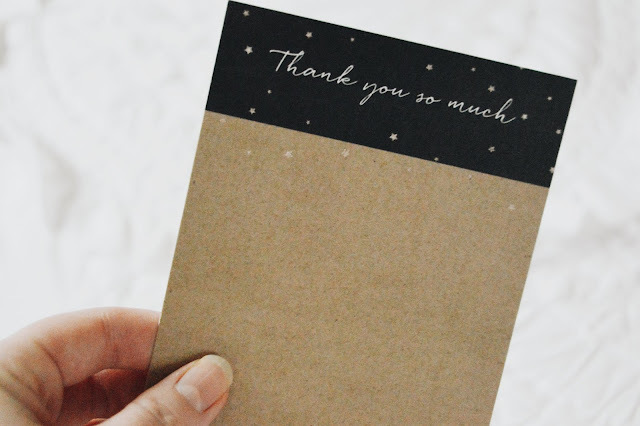 I also grabbed these sweet thank you cards since a few people had gifted us items for baby Bodhi, and I thought these were perfect for that! I personalized them a little bit and voila, they're stunning, not to mention that I love the simplicity and color theme. They're just perfect and I can't wait to send them out along with our holiday cards that I talked about above. 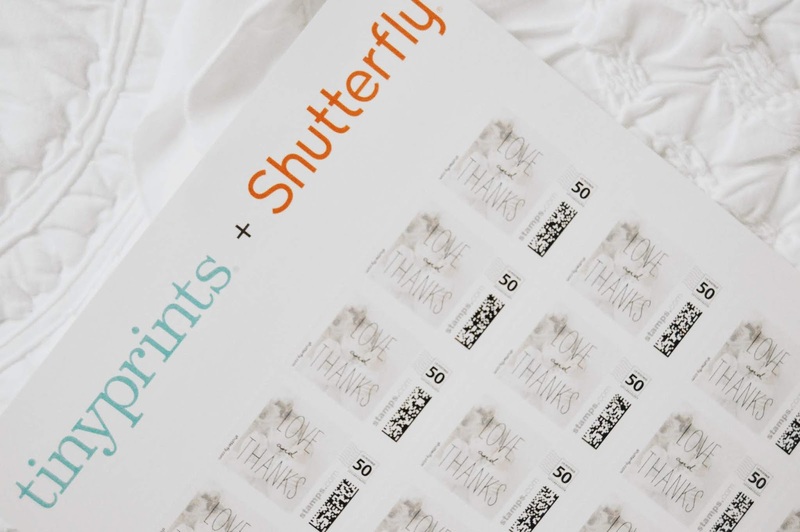 Another reason we love Shutterfly is because they also offer personalized postage stamps! How fun is that? I thought this design that says "love and thanks" was adorable and of course I couldn't help but add one of my favorite photos of Bella and Bodhi snuggling together as the background! If you didn't get a chance to make Christmas cards this year, it's totally not too late to send New Year cards! Create them over at Shutterfly! This is a sponsored post by ARM & HAMMER via Church & Dwight Co., Inc. I received compensation and a free product sample in exchange for this review but the opinions stated below are 100% my own. Let's face it, pregnancy is hard. 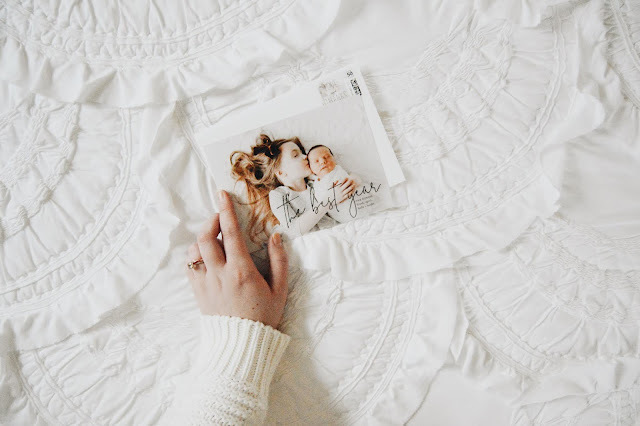 The first trimester is rough, and if you're like me, the second trimester is pretty rough too. 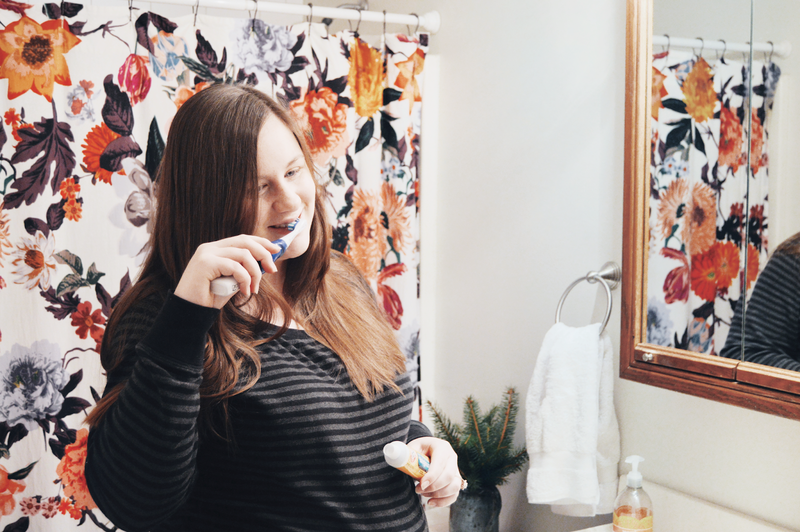 Brushing my teeth without throwing up a lung was somewhat of a challenge during those months, but since I know how important oral health is, I kept on brushing, and one thing that made it a little easier during those months was the Arm & Hammer Bright & Strong Baking Soda Toothpaste. Since morning sickness can lead to some serious acidic pH levels in the mouth (yep, that awful metallic taste in your mouth that won't hardly go away, if you've experienced it, you know what I'm talking about) I made sure to brush my teeth as often as I could stand. 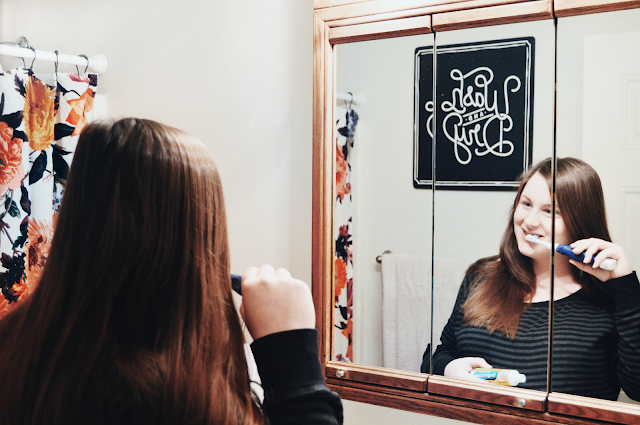 Not only did it help keep my breath fresher, but it helped keep my pearly whites healthy, as well as helping cut down on my never ending nausea. As many of you all know, I'm super careful about what products we bring into our home, and since pregnancy is an especially sensitive time for a woman's body and for the baby growing inside, I wanted to make sure I was only using the best. Arm & Hammer Bright & Strong toothpaste is made with 35% natural baking soda and is free from many of the not-so-good-for-you ingredients that we like to avoid (ingredients like triclosan, parabens, artificial preservatives, and microbeads to name a few). So it was the perfect choice for me and our baby. Arm & Hammer Bright & Strong toothpaste works to strengthen enamel with fluoride, plus it neutralizes enamel-eroding acids with baking soda AND repairs the enamel surface with Liquid Calcium Technology. Not to mention that it penetrates along the gum line for an even deeper clean that your gums will appreciate AND is clinically proven to whiten teeth in just 5 days! How awesome is that? This toothpaste has become such an important part of my routine because I had such bad nausea for so long during my pregnancy. Since stomach acids (think all of the throwing up you may have been doing) can erode enamel, this toothpaste works hard to keep your teeth strong and healthy during all 40 weeks of growing a little human. Just remember, after an episode of morning sickness, to normalize the acid in your mouth, rinse with 1 teaspoon baking soda mixed into 1 cup water, then brush with Arm & Hammer Bright & Strong. Whether you're a first time mom, a second time mama (like me), or a seasoned pro kinda mama who has been there and done this whole pregnancy thing more than a few times, this Bright & Strong toothpaste from Arm & Hammer (with its amazingly freshening and crisp mint flavor) will definitely be a welcome sight for you every single time you go to brush your teeth. Sitting in your bathroom cabinet like a shining knight in armor, always there waiting to help you combat all of the things, like acidic stomach acids, tooth and enamel decay and stinky breath (because we all know those hormones can wreak havoc on our morning breath haha) and even help you repair the damage that stomach acid can do to tooth enamel. It is THE ONE toothpaste you'll want within arms reach your entire pregnancy, and I dare say you will probably, okay more like most definitely, want to keep on using it postpartum too. Have you tried Arm & Hammer Bright & Strong Toothpaste yet? 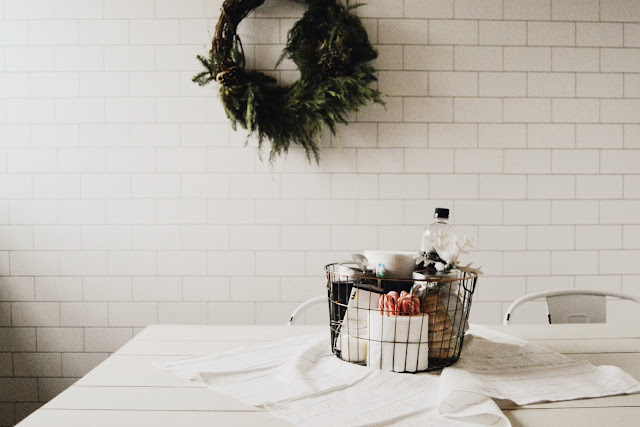 With a new baby here and as well as the holiday season here, there are lots of guests around, so of course I want to stay stocked up on all of the essentials to make them feel welcome and keep everything running smoothly. 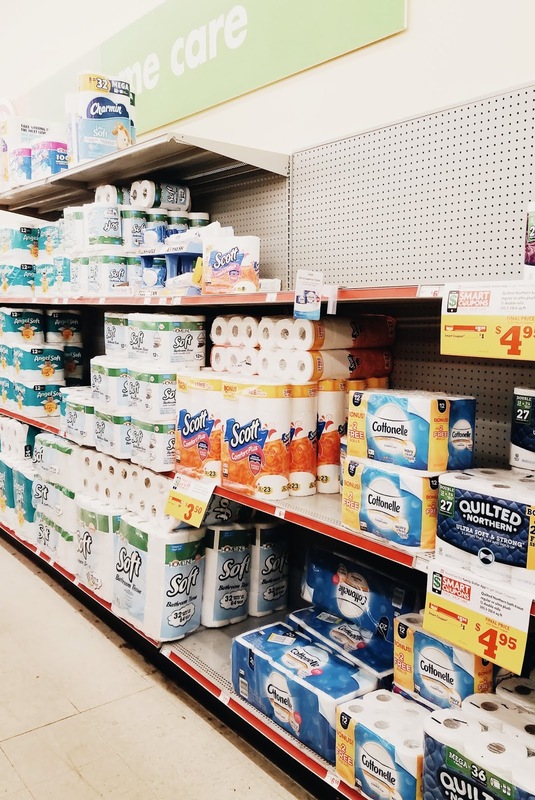 Keeping our most favorite toilet paper on hand for not only ourselves but our guests as well is a must and plays such a huge roll (pun intended haha) in keeping not only ourselves comfortable, but our guests as well. 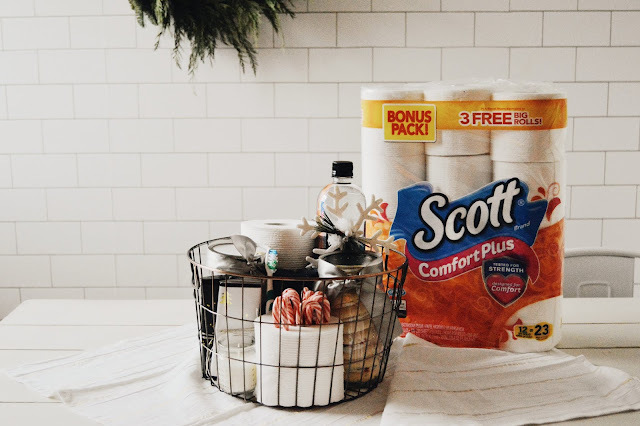 We've been using Scott brand toilet paper exclusively for several years now and the Scott® ComfortPlus™ Toilet Paper – 12 CT Big Roll, that we recently picked up at Family Dollar is our most favorite. It's so soft with it's thick and plush sheets designed to care for you all day every day for that trusted and comforting clean feel. 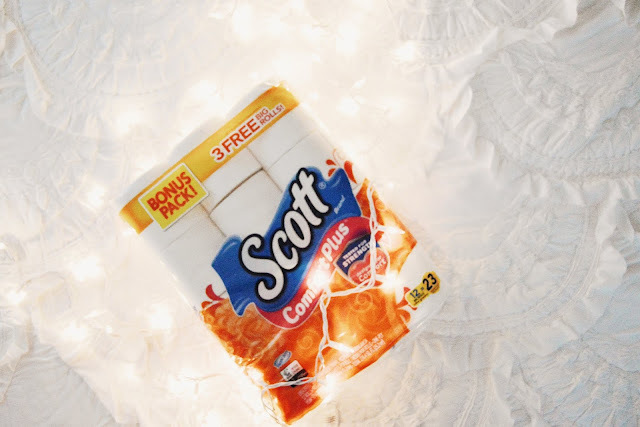 Scott ComfortPlus toilet paper is better than all of the other toilet paper brands we've tried over the years and is preferred over Angel Soft because it's 5 in 1 soft, absorbent, thick, and best of all (especially with guests and children in our home) clog free, oh, and it's tested 3 times stronger for unbeatable comfort. 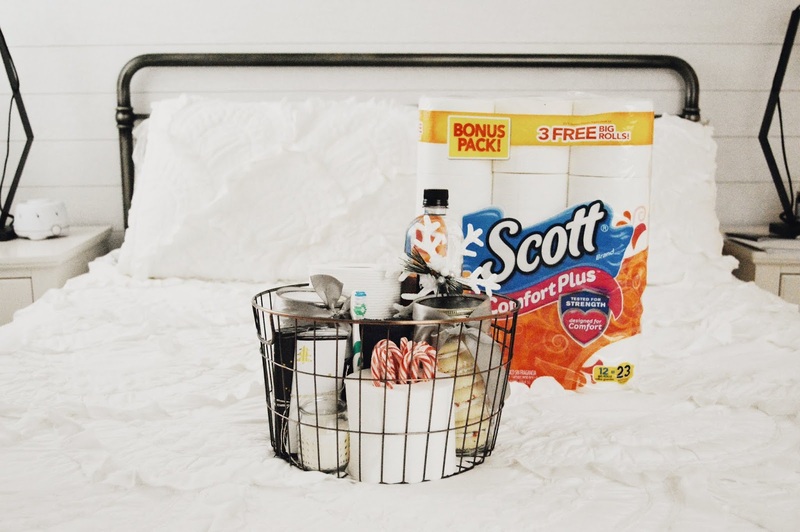 We used to purchase the Scott Extra Soft, but as soon as the new Scott Extra Soft was released I knew we had to try it, and we've been so impressed with the new and improved version we haven't purchased anything else since! 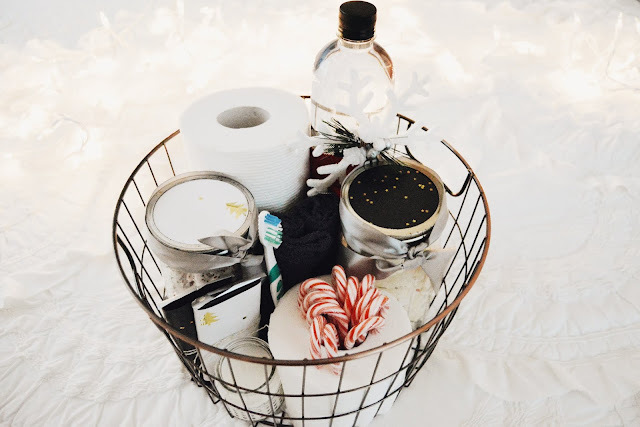 One thing I've done this year since we're having so many guests visiting for the holidays and also to meet our new baby, is create a guest welcoming gift basket! It's been such a lifesaver for me to be able to put all of the essentials and some fun extras into one basket that I can just refill for each new guest to make everyone feel welcome when they visit! 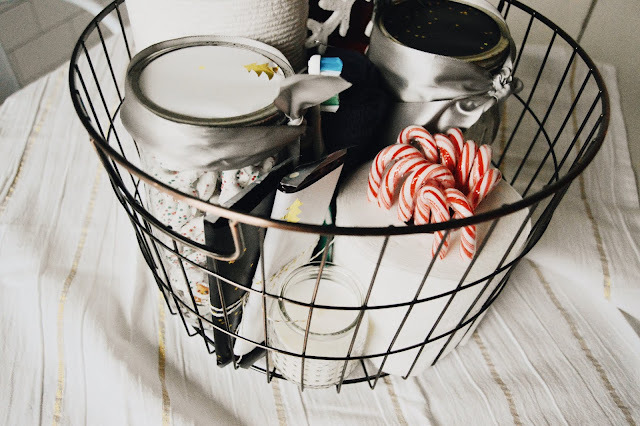 If you're entertaining lots of guests this holiday season or having lots of family and friends visit, a guest welcoming gift basket is the most perfect way to make them feel at home! 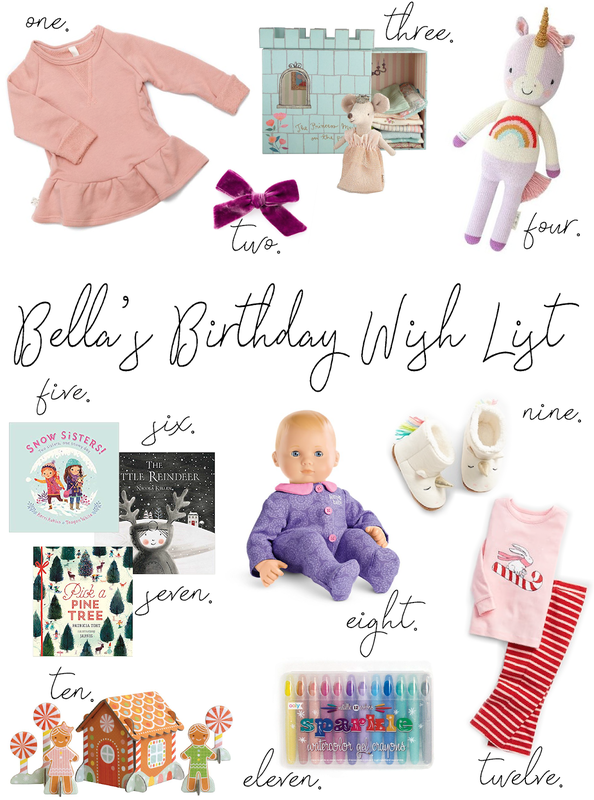 Here are some fun ideas below of things that I've included in ours and that make perfect gift basket items! 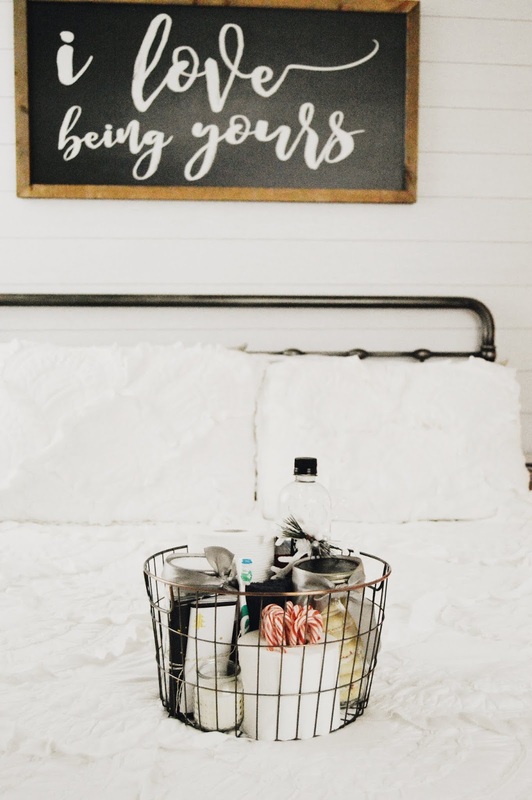 While the options for your guest welcoming gift basket are practically endless and can change for each guest depending on their individual needs and interests, this is my main go-to list for grabbing items from to make all our guests feel welcome for their entire stay. I also love to take the food items out of their packages such as cookies and chocolate covered pretzels and put them in a cute mason jar to make them feel more personable and thought out, even though they don't take much thought or time (which is great since I'm busy taking care of a newborn these days). Make sure to head to your local Family Dollar store (you can find your nearest store by clicking here) to grab all of the essentials you'll need before guests start to arrive for the holidays and don't forget to grab alllllll the Scott ComfortPlus toilet paper to not only keep your bathroom stocked but to add to your welcome gift basket for all of your visitors, guests, family, and friends! 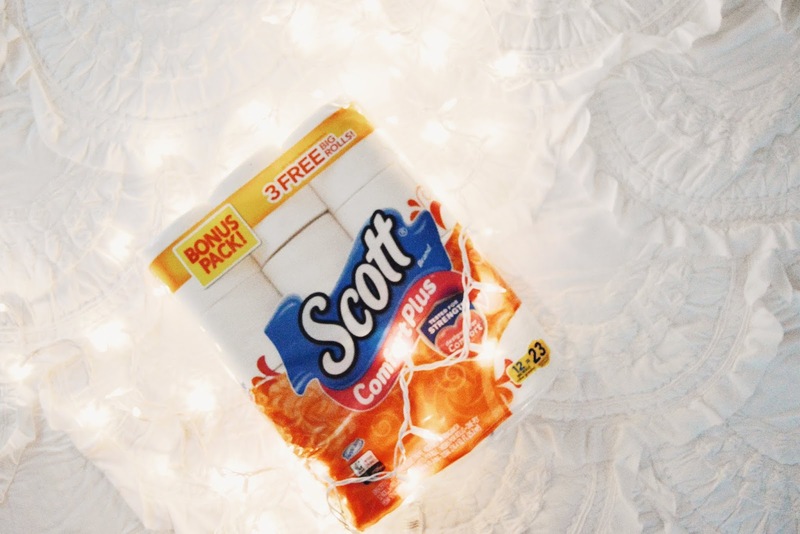 Don't forget to use the Circular offer for Scott® ComfortPlus™ Toilet Paper 12 CT Big Roll at $4.00 at Family Dollar (Regular retail price is $5) from 12/4 - 12/10! 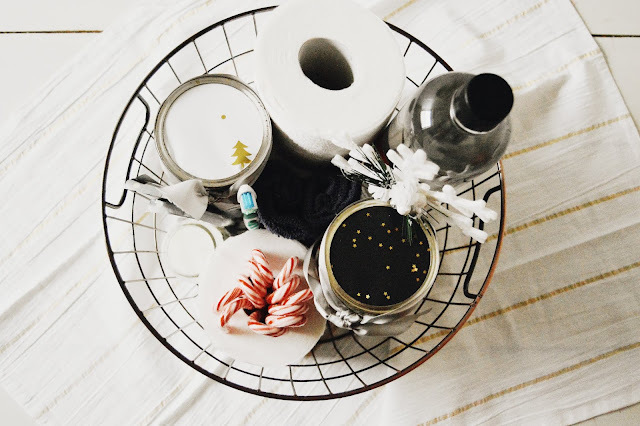 Are you having guests for the holidays? 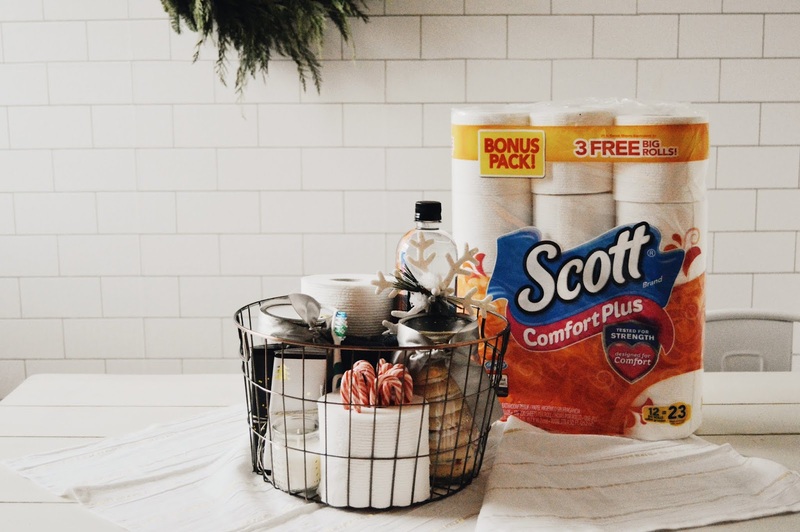 Will you be creating a gift basket filled with essentials (like Scott Comfort Plus toilet paper) and other goodies for them? 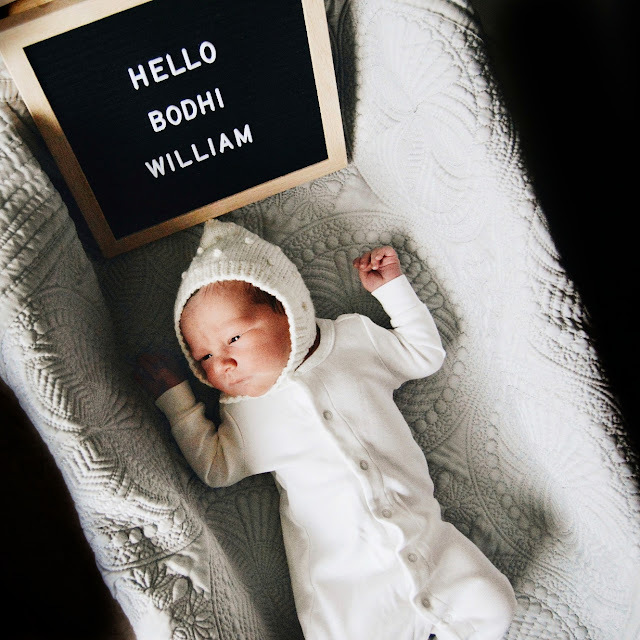 We welcomed Bodhi William into our family on December 1st at 3:51 pm, weighing 7 lbs 15.2 ounces, and 21 inches long. 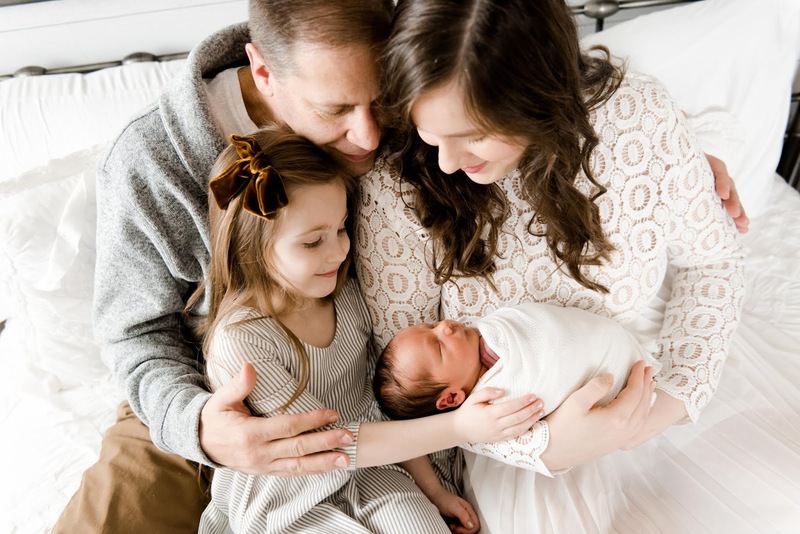 We could not be more in love with him, our sweet baby boy. Our hearts are so full and he is beyond perfect.